Palletline - food for thought! To win this years national burger awards is a pretty big coup especially considering how many burger joints there are in Britain, but Cut + Grind have achieved just that and it’s pretty clear to see why. At Cut + Grind their philosophy is simple, to make a simple yet effective burger patty by selecting the best cuts of meat going – rump, chuck, rib, flank to name just a few – and to grind it in house in order to get the required product. The patties itself are a little rough around the edges and rustic but it’s very meaty, juicy and well seasoned. In addition they come in two forms – skinny (leaner cuts) and juicy (marbled cuts) where they are then made into a variety of ways – beef brave (aged patty and Béarnaise) and the house (classic with beef tomato and maple bacon). On this occasion we went for the classic and there’s no holding back on the filling with this big daddy. 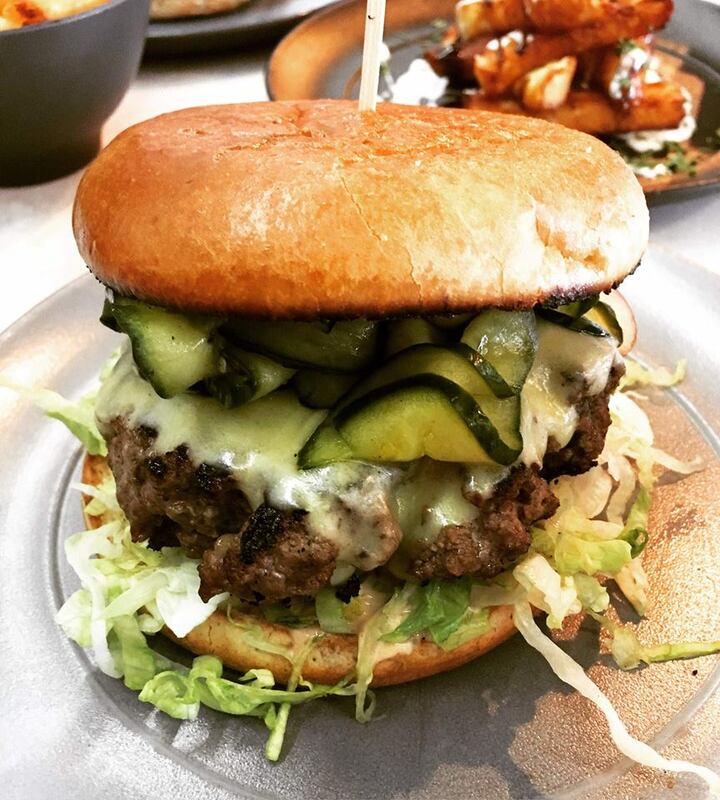 In between the buns is a big fat patty accompanied with thinly sliced sweet pickles, gooey cheddar, crisp lettuce as well as a good dollop of burger béarnaise. The burgers also come with a healthy portion of Belgian style fries cooked in either beef dripping or vegetable oil. 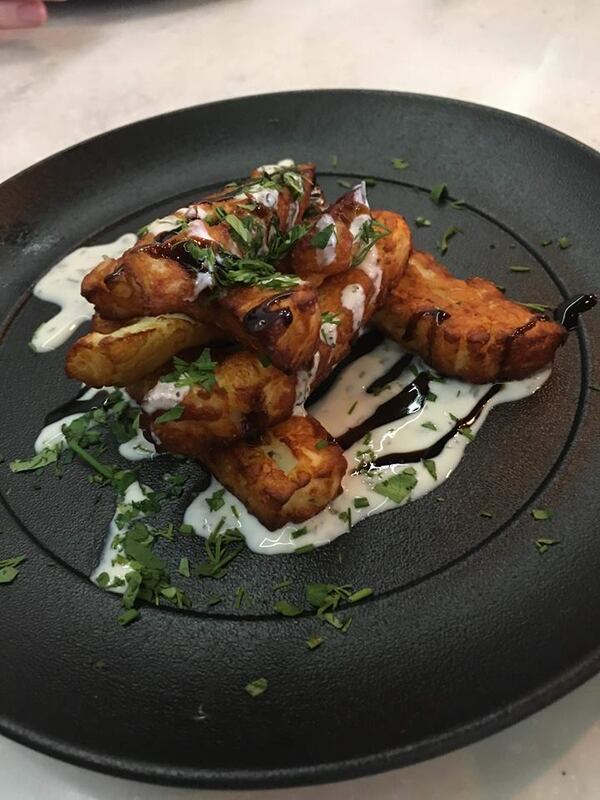 Oh and an order of halloumi chips should not go a miss. Surprisingly though it’s the vegan burger which takes gold medal. 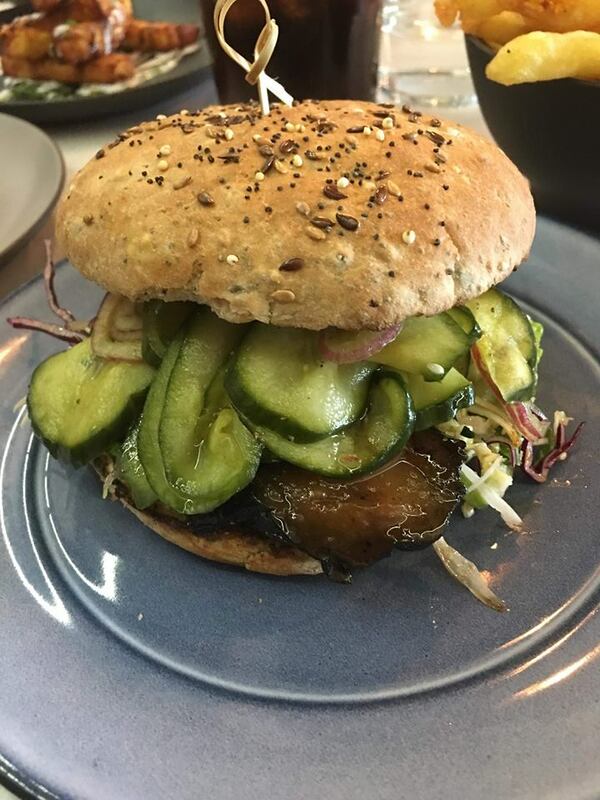 Slices of aubergine cooked in a golden, sticky and sweet miso glaze topped with sesame slaw, pickles and spicy ketchup. 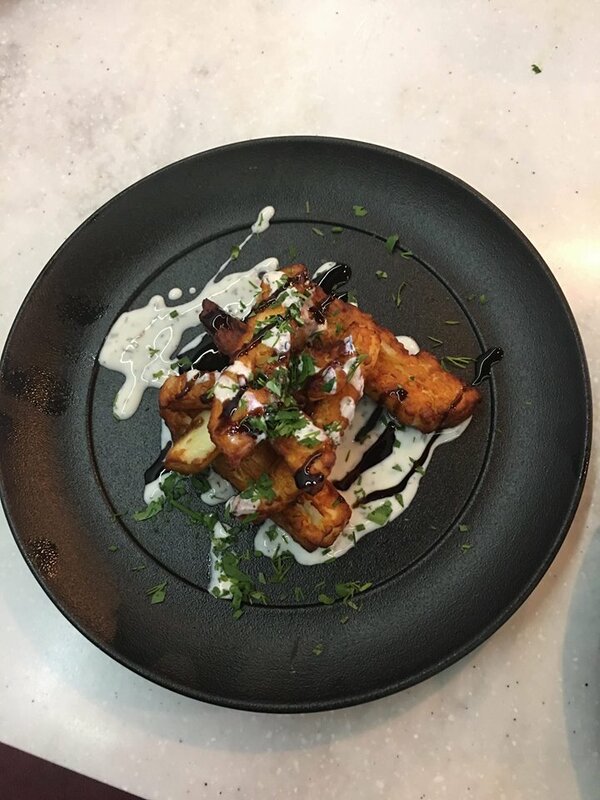 The meaty texture and big flavours from the aubergine make this a fantastic alternative. Cut + Grind also provide breakfast to set you up for the day. Dishes include shakshouka eggs, breakfast burger as well as granola and poached eggs on sourdough. The overall food, service and location makes Cut + Grind the ideal place to visit for a casual day/night out and for a solid, decent burger averaging 10 pounds, you really can’t go wrong.